What is the Complete Modern Pool™? Technology has come a long way, and so have pool sanitizers. When looking at chlorine and chemical-free options, the answer isn’t always either/or. By combining the best available technologies, every pool can be crystal clear and absolutely safe. Some of the most dangerous pool contaminants are also resistant to chlorine and other chemicals. Harmful organisms such as Cryptosporidium require long term exposure to high chlorine levels to be destroyed. AOP, Ozone and UV-C oxidize or inactivate these types of contaminants for a safer pool. Chlorine and other chemicals are good at keeping pool water actively safe even when the pump is off. Working together, a Residual Sanitizer and an Advanced Sanitizer system create a complete modern pool system that protects individuals, their families, and their pets. 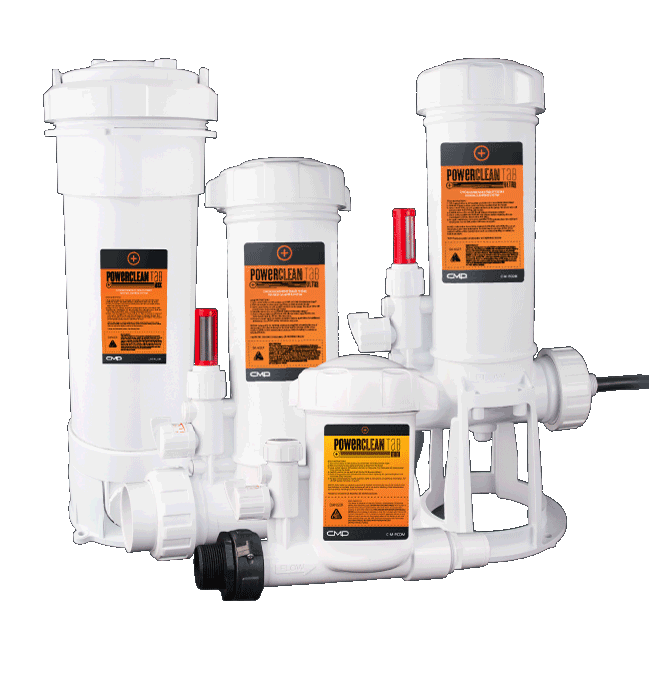 By allowing your Advanced Sanitizer system to quickly act on pool contaminants, chlorine is free to work better. This reduces the chemical demand and greatly reduces the amount of chemicals that have to be added to the water. Every pool can experience a reduction in chemicals and a reduction in annual chemical costs. Chlorine is excellent for maintaining an active residual in the water itself. That means the moment a contaminant enters the water, chlorine gets to work. Chlorine is also just as effective when the pump is off when a residual level is maintained in the water. AOP, Ozone and UV can destroy or inactivate dangerous contaminants that can be present in any backyard pool. These Advance Sanitizers are effective against microorganisms like Cryptosporidium, viruses, bacteria and other pathogens. 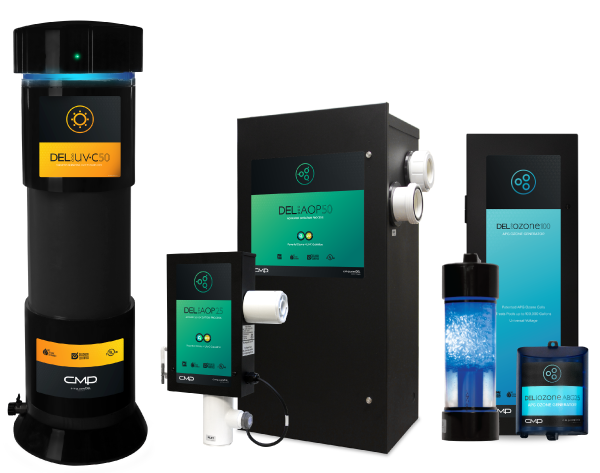 Advanced Sanitizer systems from DEL use modern technology to enhance the quality and safety of residential pool water. They can reduce chloramines, improve chlorine effectiveness, clarify the water and destroy chemical-resistant microorganisms. The next generation salt chlorine system: designed to be durable, affordable and serviceable. Salt chlorination leaves water feeling smooth and soft. Produce pure chlorine without aggressive chlorine tablets or shock from small amounts of salt. Chlorine and other chemicals are good at keeping pool water actively safe even when the pump is off. CMP manufactures a line of high-quality pool sanitizer dispensers for both in ground and above ground pools.